Q. Can I book a berth for Round the Island Race? Yes, we do take advance bookings for the Round the Island Race. For full information please check our Round the Island page. Q. Can we book a visitors' berth at Shepards Marina? 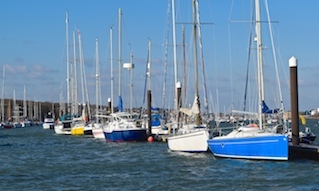 Yes, you can book a visitor berth in advance, subject to availability, by filling in our Berthing Enquiry form or contacting the Shepards Marina office on 01983 297821. During busy periods you should expect to be rafted. Q. 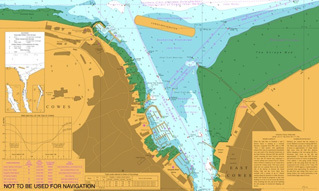 What are the directions for getting to Shepards Marina? As you approach Cowes from the north pass between No. 1(Q.G) and No 2. (Q.R) fairway buoys, staying as far as practicable to the starboard side of the fairway. Keeping to the starboard side of the fairway, you will pass the Red Jet terminal which lies opposite the red No. 4 Fl(3)R buoy and the entrance to the Small Craft Channel. Shepards Marina is opposite the red No. 6 Fl(2)R.5s buoy and the large Union Flag painted hangar doors at Venture Quays. Call our staff on VHF Channel 80 and they will direct you to your berth. See also Directions to Shepards and the Approaches to Cowes. Q. Do you offer Wi-Fi? Yes, Shepards Marina has full Wi-Fi coverage so there is no need to miss those important emails. Come up to reception to ask for your password. Q. How much does it cost to stay at Shepards Marina? All pontoon mooring overnight costs are listed in our Visitor Berths section. Q. Where can we obtain fuel? There is a nearby fuel berth, just 200 metres south of the Chain Ferry underneath the large hammerhead crane. The deep draught Cowes Harbour Services Fuel Berth is open seven days a week, providing easy access and competitively priced fuel. Q. What size boats can you accommodate? 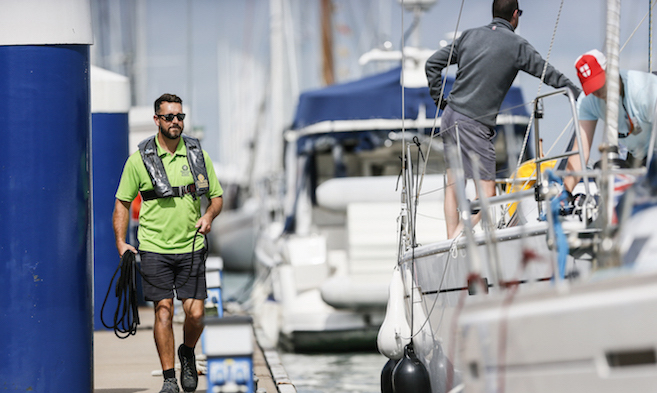 Between Shepards Marina and the Cowes Harbour Services Moorings team we can accommodate yachts and motorboats up to 30m in length and 4.5m draught. For special events or bespoke moorings, please Contact Us to discuss your requirements. Q. Can I have mail sent to Shepards Marina? Yes, absolutely. Our address can be found on the Contact Us page. In order for your mail to easily find you, please be sure to include your name and/or boat name on the package. Deliveries from Royal Mail, UPS, FedEx, DHL or other carriers can all be picked up at the Marina office. Q. Are there haul-out facilities in the area? 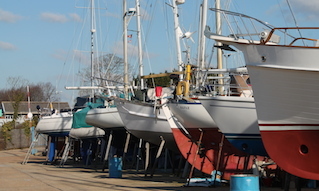 Yes, at Shepards Marina we can lift boats for short haul, see information under Crane Services. 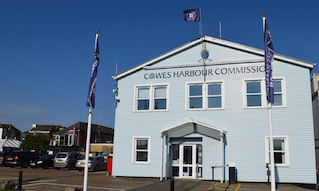 We also have a boatyard further up the River Medina at Cowes Harbour Services in East Cowes where Lifting and Storage is available. Q. Is there a restaurant at Shepards Marina? Yes we have The Basque Kitchen, a fabulous dining spot, which infuses authentic Basque Country cooking with the best fresh Isle of Wight produce – along with a little inspiring innovation!